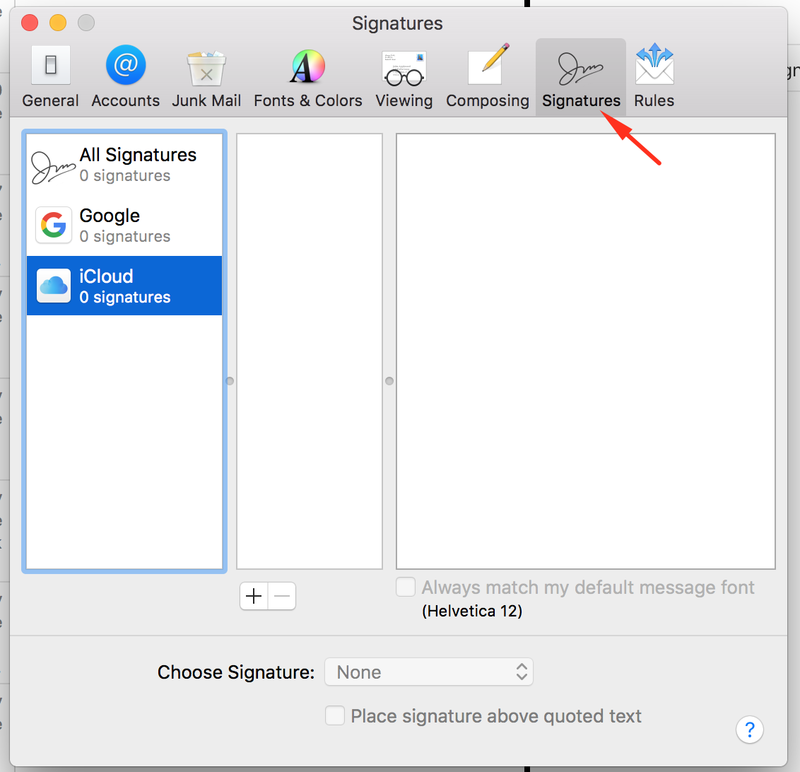 Create your email signature on NEWOLDSTAMP and follow these simple steps to install it in to Mac Mail. 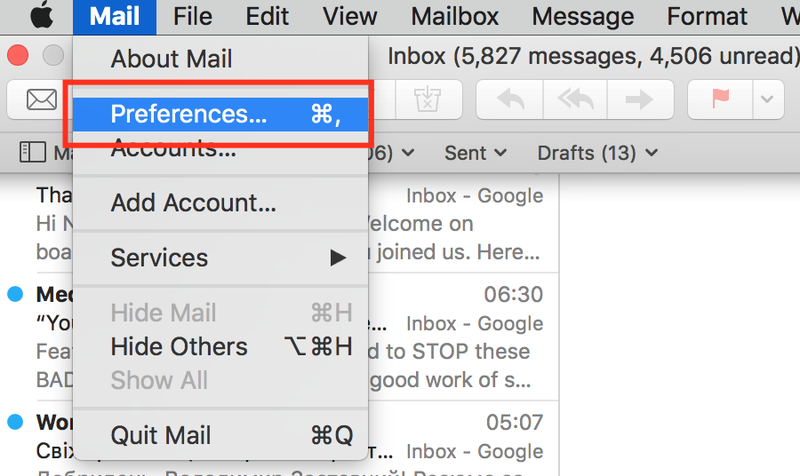 Select the Mail icon in the list of email clients. 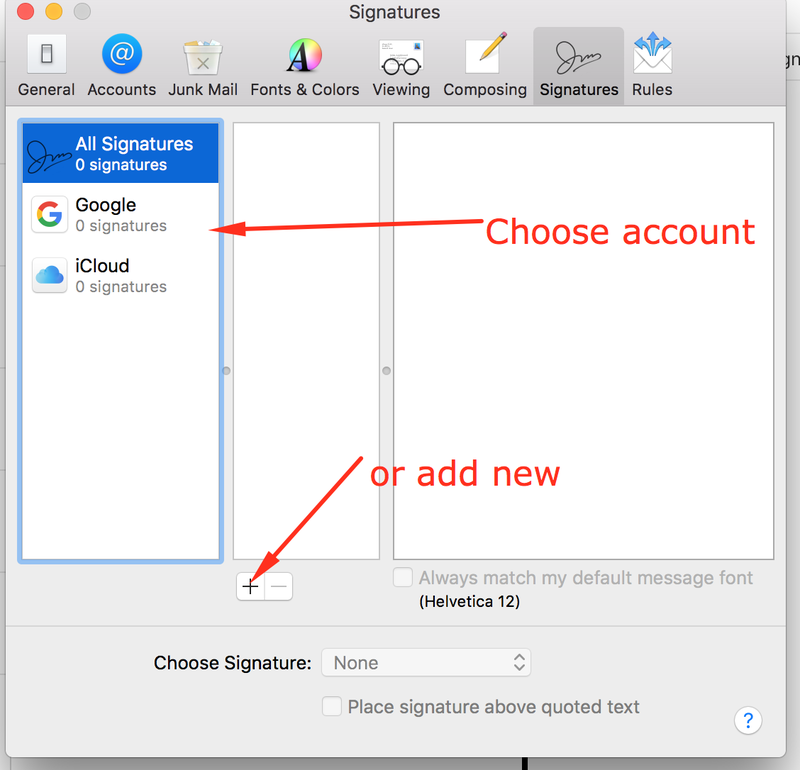 Choose which account you want to use the signature for and click “+” button to add a new signature and give it a name. Uncheck the “Always match the default font” box. 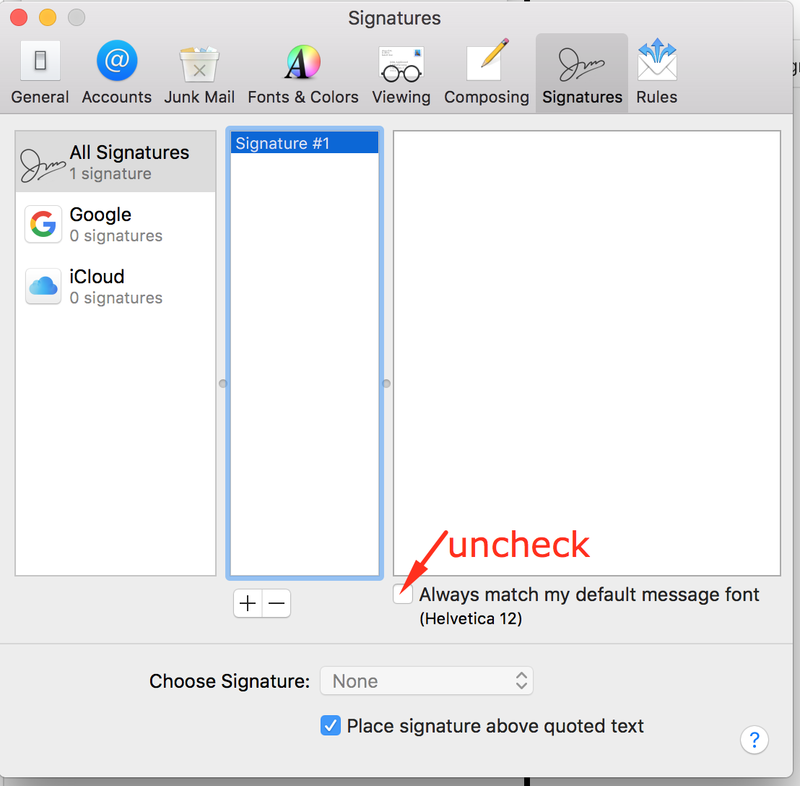 Paste the signature into the signature box (CMD + V).